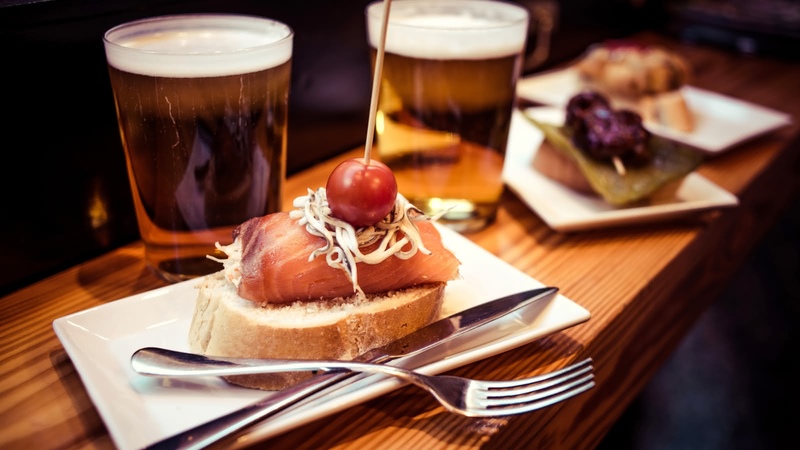 This 2-hour Madrid tapas experience gives you a great entrée into some of Madrid’s best food. 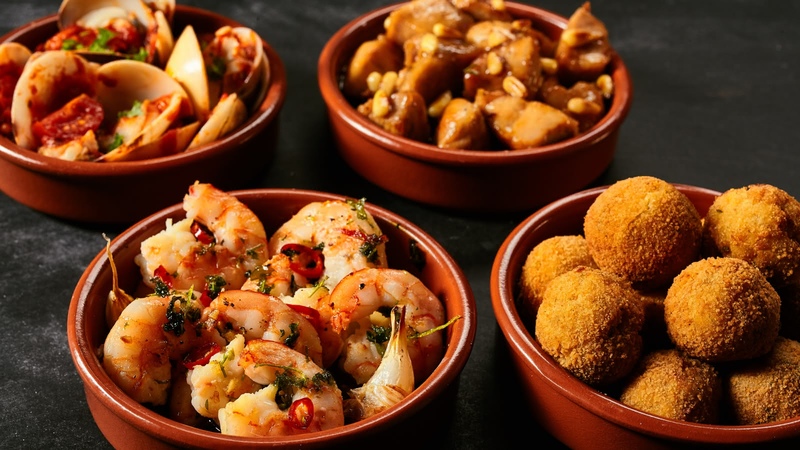 Taste traditional tapas from different regions, as well as the famous Andalusian rebujito cocktail. Come meet new friends from around the world and have an unforgettable evening! Your Madrid Evening Tapas Tour starts in front of the Tourist Information Center in Plaza Mayor and finishes in Huertas area. 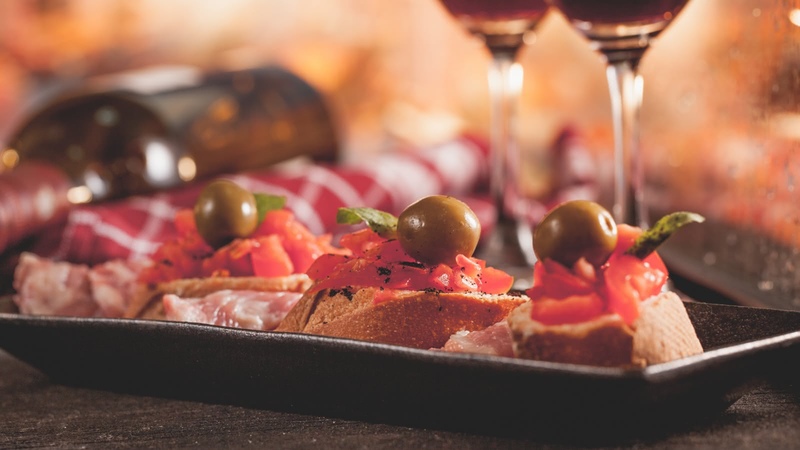 There is nothing more quintessentially Spanish than going out with friends to enjoy tapas, and on this Madrid tapas tour, your experienced leader will take you to some of the best and most authentic tapas bars in Madrid with some new friends from around the world. 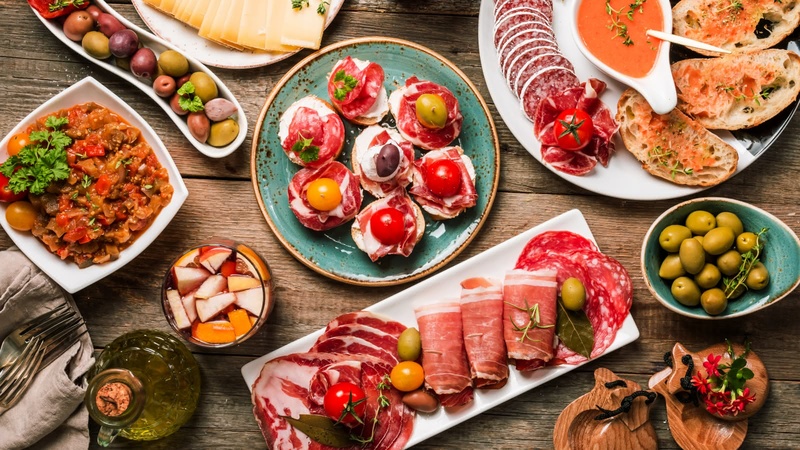 During this tapas experience, you will savor some of the most delicious and typical bites that the city has to offer. Try the classic homemade paella, as well the Spanish omelet, croquettes, jamón ibérico, cheese and pan con tomate. And the most typical madridleño drinks! This experience also teaches you the traditional art of drinking from a wineskin, and, of course, you will also try the legendary Andalusian rebujito cocktail. Let me take a few minutes to brag about Andy, our awesome tour guide. Andy was very welcoming and made everyone feel a part of the group. At each stop on the tapas tour we learned the history of the dishes/drinks we were trying and got to chat with Andy about things to do in the city. He handled any issues (dietary restrictions/concerns) with ease and had a great attitude. He also gave our group great recommendations for things to do after the tour and a group of us stayed together afterwards for a good time. The food was great and the options were plentiful for the price paid. No complaints here! We loved the tapas tour with Andy last night! It was such good value for money with drinks and food at 3 venues for 20 euros. We left happy with full bellies. Would highly recommend to anyone! We did the Tapas tour with Andy. Great value at 20euro for around 3 hours including tapasand drinks. We tried a variety of food and drinks at some interesting places, enough to fill us up as a dinner after a long day. Andy was young, energetic and enthusiastic, describing history and culture and his own recommendations and knowledge. He was popular with the vendors too. He gave us great information plus a enough time to enjoy the tapas and drinks and mingle with the others in the tour. We will certainly be returning to some of the places again. We had a great night, and would definitely recommend this tapas tour. 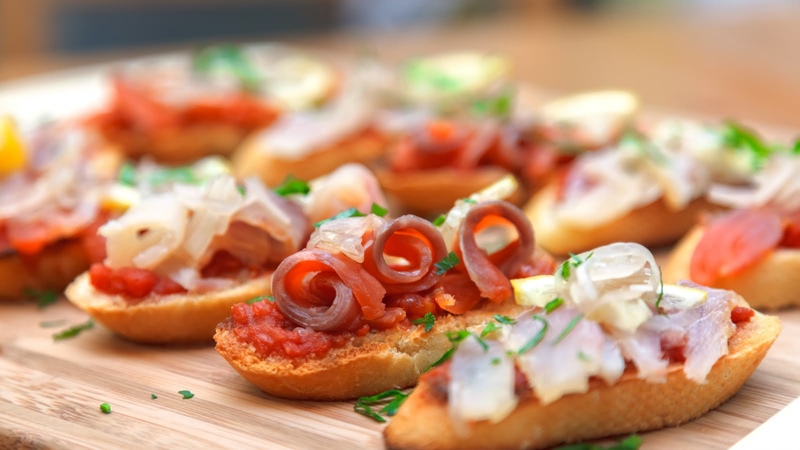 As a solo traveler, I thought that a tapas tour would be a great alternative to dining alone. 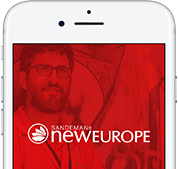 I found quite a few tapas tours in Madrid, all at a much higher price than this one offered by Sandemans. For me, it was just the right amount of food and drink, and our guide, Andrés was fun and informative. Wow!!!! What a fabulous tapas evening tour. Our guide Andy (Andres) was fab-u-lous!!!! His knowledge was outstanding with a lovely passionate personality to match! Such a vibrant tour of the best tapas bars. Would definitely recommend. You can see the beautiful sites of Madrid, and hear the local sounds, but no trip here would be complete without tasting some of the local culture too!